I wanted to re-share this great 2-part post written by Susan Avello. Most parents love their children desperately. There is not much that a mother or father is not willing to do in an effort to love, nurture and protect their children. However, because parents are human beings and, thus, are subject to human frailties, parents do sometimes emotionally scar their children. Without forgiving their parents, these same children then grow up and encounter difficulties in their adult love relationships. Sometimes the hurt inflicted by a parent is indirect an unintentional, such as may be the case in parents who divorce or parents who remain together, but model unhappy marriages for their children. Other times, a parent’s harm is more direct, as is evidenced in cases of child abuse or neglect. Whether intentional or unintentional, however, being hurt by a parent can cause a person to grown up with bitter feelings and resentments that affect daily life and their relationships with others. As many divorcees can attest, such bitterness fuels the blame often placed on parents for the failure of a marriage, or general feelings about the current state of a person’s life if they are unhappy after a divorce. These are among the reasons that we must work at forgiving our parents, however. 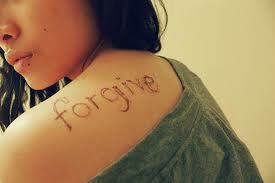 In order to move forward to a better life, past hurts and disappointments have to be forgiven. This does not mean that the hurt will immediately cease or that actions will be forgotten. However, forgiving parents involves coming to grips with what has taken place, fully accepting whatever has happened and the fact that one cannot go back and change events. Recognizing that releasing bad feelings about the person and/or events is necessary in order to move forward and is crucial for your mental, physical, and spiritual well-being. This entry was posted in caregiving, dying, elders, working caregiver and tagged caregiving, disfunctional family, dying, elders, family caregiver, family caregiving, family dynamics, the power of forgiveness, working caregiver. Bookmark the permalink. Thank you for addressing this point. Our focus at KidsDadsMoms.com is on building brighter, happier kids by matching the right learning tools with each childs needs, interests and learning preferences to help develop cognitive, social, emotional and physival skills. One point that we make to parents, family members and caregivers is to be aware of the messages you’re putting into your child’s filing cabinet, they may last a lifetime! Thanks Les. It’s so important that parents start while their kids are young – imparting good things….I totally agree and appreciate what you do to help kids, dads and moms. This is so very true! I’m looking forward to reading Part 2! Thanks Dorothy….I’ve been mulling over this for weeks and figured it was time to at least start it. I appreciate your comment.